With all the travel we’ve done, our closet resembles a luggage store filled with past lovers. That rolling bag whose fancy wheels I fell for is now just a drag to take anywhere. That huge hiking backpack carried everything I could ever want, but was always such a gold digger when it came to airline travel. That incredible fling with that daypack was short-lived and bound to fail. We just didn’t have anything in common. I won’t even begin to talk about the waist pack that brought out my feminine side. I don’t discriminate and have just about every size, style, and shape of bag that you could imagine, yet nearly every trip is different and requires a new bag. It’s not that I’m fickle. Either my existing luggage has certain deficiencies that I discovered after spending a few weeks with it, or the bag I really like is beginning to fall apart and won’t survive a month on the road, much less a year. I’m very demanding and hard on my luggage and that’s probably why I haven’t found my perfect match. This review is also posted to the product page on Amazon for the Pacsafe Venturesafe 45L GII, Navy Blue, One Size . I bought this bag wanting to have the security features. I tried hard to like it, but several things really stood out that made me have to return it. I loaded it up with mainly clothes (sans laptop) and carried it around for about an hour to get a feel for it. Here’s what I thought. The security features of this bag are a very compelling reason to get it. It’s the only reason I didn’t give it a one-star rating. 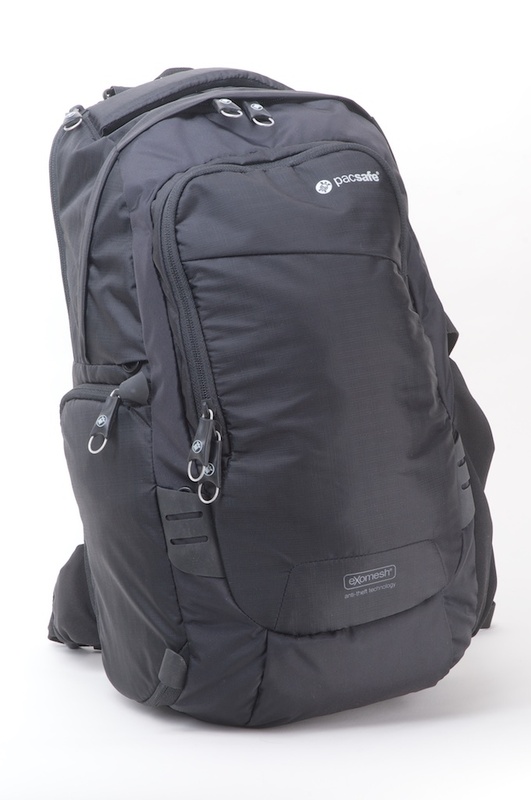 The exomesh throughout allows you not to worry about your bag being slashed. The unique zippers prevent someone from using a ballpoint pen to pop it open and the zipper pulls combined with the locking mechanism would thwart the casual opportunistic thief. It also comes with a small wire cable to attach the bag to a fixed object. The security was well-intentioned. The size is just about right for a carry-on bag and I was able to put nearly all my stuff into it for an RTW journey without it bursting at the seams. The bag’s main compartment completely unzips to allow easy packing and removal. The main compartment has a full-length mesh pocket on the lid and a 4-point stabilizing/compression strap inside. There are also outside compression straps to help squeeze it down to carry-on size. The outside also has two attachment points made of a rubberized fabric that appears to be sturdy enough to strap something to the outside.